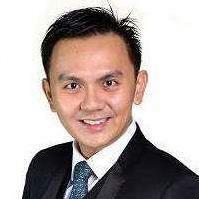 I am a licensed Estate Agent and the Principal of firm ARROWMARK PROPERTIES E(3)1743 registered with the Malaysia Board of Valuers, Appraisers, Estate Agents and Property Managers (The BOARD). I am duty bound to perform Real Estate Agency Practices  (RESIDENTIAL,COMMERCIAL,INDUSTRIES,LAND) in a professional manner strictly adhering to the highest standards set by The BOARD. I am currently undertaking major Penang Island Developer Projects and also actively involved in Secondary Markets. I am also actively seeking to hire Real Estate Negotiators, who are honest, ethical and with integrity to join my firm.